Being trusted and knowing whom to trust is the killer skill of life. No other attribute and ability so clearly delineates the difference between success and failure. 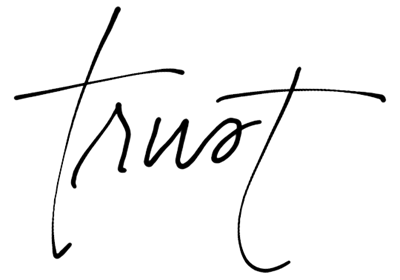 Today, trust is playing an increasingly pivotal role in all possible endeavors of humanity, either the business, personal or professional world. You want to make it! Do not do the right thing, the proper thing, and the ethical thing to be done only when someone is watching. Whatever you do, whatever you say, always do or say what is right to be done or said. Be proper and ethical in everything you say or do and above everything else, always make sure to never fudge the truth. When interacting with people, focus all of your attention on the other person; don’t peck away on a digital device. Turn off your phone and tell that person that you are meeting with: “I don’t want to be interrupted while we are talking.” Doing so distinguishes you from this ever-increasing mass of people who, without any kind of respect for their interlocutors, listen with one ear and either talk, or do anything else when they should be listening. True relationships are everything! Learn to differentiate between people you can count on, people you can trust and people who only pretend to be reliable and trustworthy. Not everyone is worthy of your trust and not everyone is worthy of being one of your friends. Be trustworthy and reliable, deal only with the reliable and trustworthy and over and above everything else, avoid people who only pretend to be reliable and trustworthy. If necessary, put your friend or wannabe friend to the test. There is a time in life where you have to decide who, without any expectation of getting something in return, is worthy to be your friend. There is a time in life, where you have to decide who you are willing to share with and confide in without having to fear, people that you can trust. Those are the only relationships that should matter to you. If you have no such relationships, it is about time to re-evaluate your life. There is no greater warning sign of danger ahead than to be utterly self-sufficient and self-absorbed. Alone, you are not getting anywhere.